It started as a simple heist. On a space station orbiting a pale blue sun, a package changes hands. Data too sensitive to transmit will be exposed for one brief moment. The client is paying a crazy sum - if the job is clean. 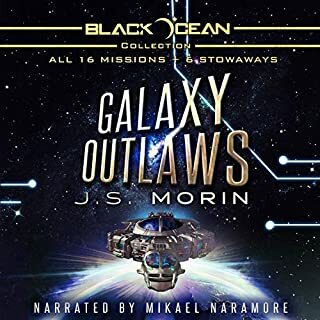 Instead, the galaxy’s unluckiest crew of outlaws will have to put all their resources into salvaging what they can from the job. Even if it’s only avoiding blame for the fallout. Tech, Lies, and Wizardry is a sampling of the hijinks you’ll find in the 26th-century’s greatest outlaw space opera, Black Ocean. Throw a copy in your cargo hold now. Far too short, I hope that future add on stories will be longer. Narrator was excellent - as usual. 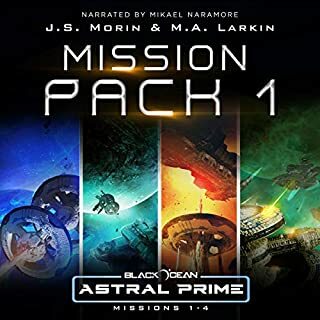 I'm currently reading Mission 6 of Black Ocean when I heard about the prequel Tech, Lies and Wizardry. Could only obtain it through Audible so I quickly scooped it up and listened to the 50 minute story. It was a little flat comparitively but seeing as it was a quick prequel and still well written I gave it four stars. Not much character development but nice to see where Chip came into the crew and all in all it was enjoyable for $2.75 or something like that. 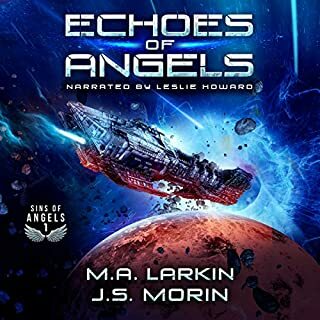 After listening to the 5-star epic audio book of episodes 1 to 16.5 (85 hours of action, humor, and amazing writing and narration) - I saw there was this short story. It's good. 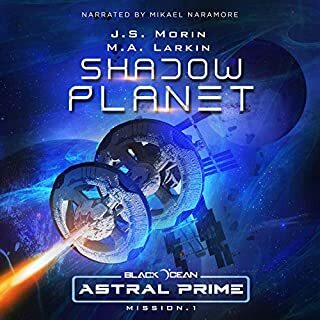 But, if this were to be the introduction to the characters of the Black Ocean stories, it might lose some potential listeners. It's too short to hook people in with the individuality and strong personalities of the series. I love the sound effect between scenes. 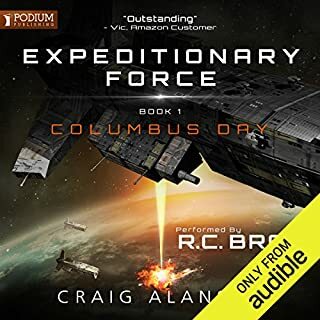 Audio books are a great medium for entertaining the listeners and I really enjoy good use of sound effects. There's only the one sound used for this series, but it's great. What did you love best about Tech, Lies, and Wizardry? I liked the feel of the world. It is pulling the worlds of Sci-Fi and Fantasy together a bit more, almost like Dresden files in space. Only... there is a bit more space feel that magic feel... well.. in this short story anyway. I could only have asked for more. Easy to listen to vocals and does a good job distinguishing character voices. Maybe just the title.. it captures it all right there..
Good fun.. and VERY quick listen. Already hoping to meet again with these characters. I would recommend this story to a friend whose looking for something good but short and simple. I didn't have a favorite character because I felt the story was too short to fully define characteristics of any individual person. He had good infliction of each individual character. First off, I am usually pretty critical of narrators, but this one does a great job. He has a good range of voices, allowing you to identify the character purely by voice. The writing is good, but I definitely felt like we skipped over the climax and actually including the scenes would have made for a longer and better book. The price... If I compare length to price on comparable audio books, the price is steep. At less than an hour, a comparable 10 hr book would be over $40. Conclusions: I think it is a good teaser to get you to read the other books, but I'm not sure that the content delivers on the investment. Hopefully the series has a better page/time to dollar ratio. 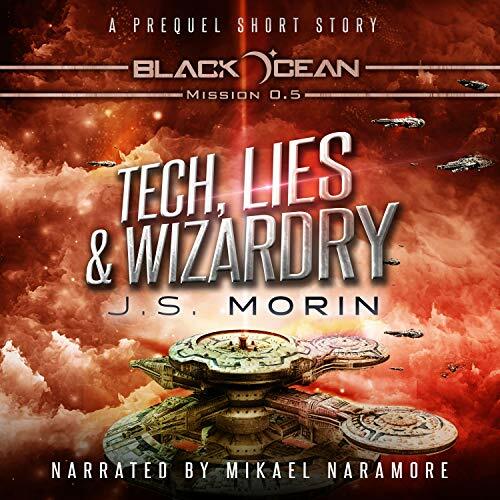 Would you consider the audio edition of Tech, Lies, and Wizardry to be better than the print version? Equal to the print version but well worth it if you prefer audio books. What other book might you compare Tech, Lies, and Wizardry to and why? Have you listened to any of Mikael Naramore’s other performances before? How does this one compare? If you could sum up Tech, Lies, and Wizardry in three words, what would they be? I liked the characters created. It was easy to follow along with while I was driving and easy to pick up when I got back in my car. I enjoyed the story and am looking forward to reading more. The performance was fun to listen to because Mikael Naramore used different voices for each character. It made it easier to follow along. I would recommend this book to anyone who likes sci-fi and adventure. 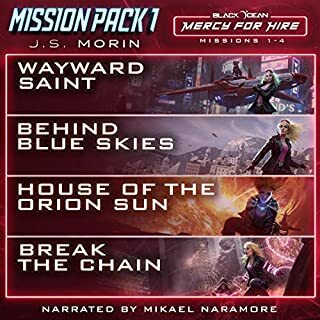 Would you try another book from J. S. Morin and/or Mikael Naramore? What was one of the most memorable moments of Tech, Lies, and Wizardry? the only detraction was there wasn't enough distinction from the female characters... they all sounded the same and so did some of the male characters. Could you see Tech, Lies, and Wizardry being made into a movie or a TV series? Who should the stars be?